On 9th September 56 trustees, CEOs and fundraisers took part in a consultation event on fundraising self-regulation for NI in NICVA. There were presentations from NICVA, CCNI, Fundraising Regulator and The Scottish Working Group. The discussions showed a difference of opinion within the sector, some were in favour of going with the existing Regulator and some wanting a local alternative. A strong message was the need to engage and consult more widely with the sector and other stakeholders especially with trustees and make sure that we informed the sector and took time to make the decision that was best for Northern Ireland, both for charities and the public. 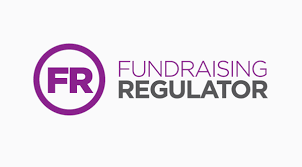 In October, the Fundraising Regulation Working Group was established. The Working Group was comprised of 21 trustees, CEOs, and fundraisers from a wide range of organisations as well as Observers from the Department for Communities (DfC) and the Charity Commission for NI (CCNI). The remit of the groups was to produce an options appraisal for the proposed options for NI which could be used as an engagement tool by the sector; engage with the voluntary and community sector consulting and gathering views; analyse the findings and produce recommendations. The Fundraising Regulator agreed to field fundraising complaints for NI whilst a more detailed consultation on the way forward for NI was carried out. The working group met 8 times between 24 October 2016 and 27 April 2017. They developed a Fundraising Regulation hub on NICVA website to keep people informed, researched options and produced an options paper and ran a consultation and engagement events between 10 February and 31 March 2017. A range of options were researched and considered by the Working Group. The two options presented to the sector - Joining the Fundraising Regulator (England and Wales) and Developing a NI Fundraising Complaints Service - were those that were deemed to be most viable. Detail was provided on these options as well as 3 other possible options in the online options paper. There were 47 responses to the online survey, 2 position papers submitted and 2 consultation events held. Out of the 47 responses to the online survey 34 were "satisfied" or "very satisfied" with the Fundraising Regulator (FR) Option and 11 "very dissatisfied" or "dissatisfied" with this option; and 18 were "satisfied" or "very satisfied" with the NI Fundraising Complaints Service option and 22 very dissatisfied or dissatisfied with this option. Most people who particpated in the consultation preferred the option of joining the Fundraising Regulator and there was no clear mandate for establishing a specific NI regulator/body. Respondents commented on the importance of FR developing good connections and relationships with NI through organisations like NICVA, IOF, CCNI and other network organisations; in order that we don’t get lost as "small fish in a big pond" and that they understand our landscape and legislation. There was also a clear appetite for improving fundraising practice and a real need expressed for support in terms of fundraising practice and resourcing issues of best practice. On 31 May, the Working Group, along with Seamus McAleavey from NICVA and Frances McCandless from CCNI, met with Stephen Dunmore and Gerald Oppenheim from FR. Stephen explained the governance, fundraising and strategic plans and activities of the Fundraising Regulator. They also discussed how NI charities would be represented and how FR would engage with charities and the public in NI. Also considered was how best to encourage charities to join the FR and how to promote best practice in fundraising and build capacity in NI. Thanks to all those who volunteered to be part of the working group and gave of their time and expertise over the last eight months. The preparation of the options paper and consultation could not have happened without their hard work and commitment. It was a excellent opportunity to work together and to discuss the issues regarding regulation as well as good practice and building capacity. FR to communicate with charities and public to raise awareness.